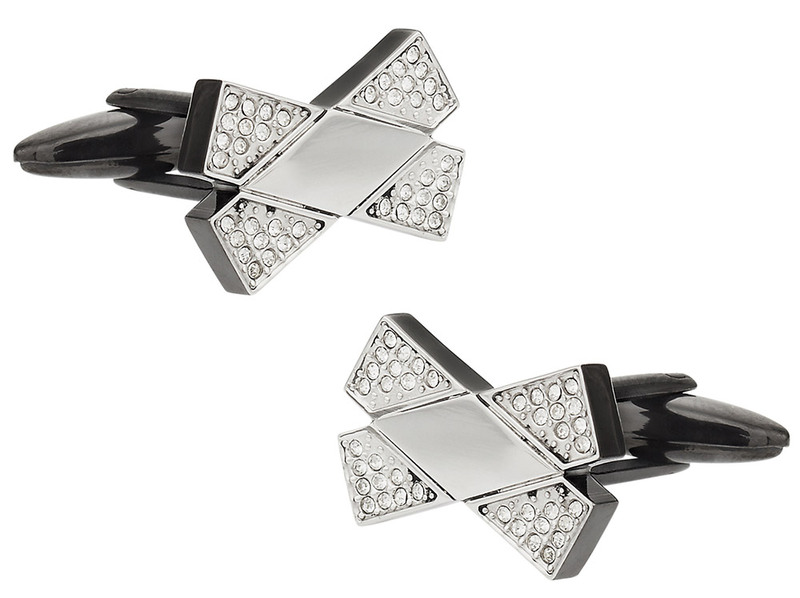 Mix black and silver together and add in a hint of shimmering crystals to make this exquisite pair of cufflinks. They're stylish, they're angular and they're probably like no other pair that you have in your set currently. These cufflinks are made from durable materials and they are hand-crafted to hold up during standard use. They are protectively coated to last longer, and these cufflinks have the distinct look of a bowtie. They're edgy and quite modern. Give the set as a cool gift to someone special in your life, or keep it for yourself to wear with specific French dress shirts. This lovely set of black silver crystal cuff links will a bit of elegant sparkle to outfits dominated by dark colors.